Cities can enhance their economic and social viability by keeping established small businesses from leaving their neighborhoods and encouraging them to invest in their locations. 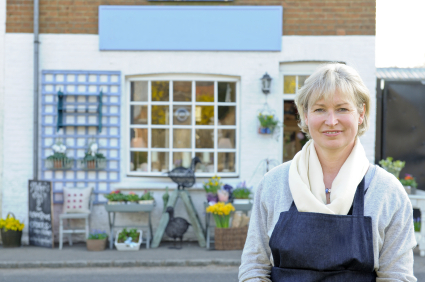 Small business owners may be more likely to invest in the growth of their businesses if they see their surrounding neighborhoods thriving as well. This according to a study commissioned by the Research Institute for Small and Emerging Business, Inc. (RISEbusiness). The study, Small Business Development and Neighborhood Quality of Life, examines ways for local governments to enhance the business development of their communities. Authored by William B. Gartner of the University of Southern California, the study suggests that a small business owner’s optimism (or pessimism) about future sales growth significantly affects whether a small business owner undertakes efforts to invest in, or enhance, business operations. “Improving neighborhoods, therefore, can be viewed as a way to stimulate small business investment and growth, which subsequently leads to further improvements by these businesses within their business neighborhoods,” states Gartner. Local governments need to reduce crime, particularly burglary, robbery, damage to property, drugs and graffiti, to increase small business owners’ optimism about the future of the locality. The upkeep and cleanliness of the neighborhood’s streets, sidewalks and buildings also impacts on small business owners’ expectations of future sales growth.